Research increasingly shows that the more information you make accessible to your baby, the faster he or she begins using it. This is particularly true when it comes to language and maths. Babies this age are more “right brained” – they need to be, if they have to learn to understand people, interaction and express themselves. At this age, perception rules. They are constantly absorbing things they are exposed to, and this particularly holds true for language and mathematics. They can understand entire words or quantities as images, and comprehend them enough that a quantity expressed in different ways, or a word written in different fonts/handwriting is quickly identified as the same quantity or word. All this is happening even before they learn to speak. Our current ways of teaching children begin well after the child learns to speak. Children learn to read in school, by when they have already moved beyond the formative years when they can grasp these things intuitively and effortlessly. As more and more parents discover the value of early orientation to fundamental skills, methods which enable such learning to be fun are becoming popular. Flashcards, story books, sign language, DVDs and such resources add value and maximise ease of use. This also directly results in you being able to be consistent and persistent with your efforts. Two such programs are from Brillkids – Little Reader and Little Math. They literally take out all the guesswork and tedious labour needed to constantly create learning resources and present them correctly. They have trials for download on their site, and I must say I’m hooked! 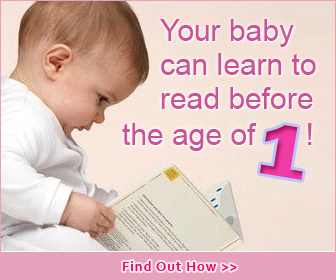 PS: One mystery of life was solved as I read their Teaching baby to read ebook. There is a quote from Janet Doman, daughter of Glenn Doman and director of the Institutes for the Achievement of Human Potential, “[At school] we are literally trained to read and talk at the same time. And this is not a good way to teach, because when you and I go to read a book, we subvocalize. We actually are talking, and it means we read very, very slowly. [A baby] will just take in the word, and as you teach him to read and he gets to be a better and better reader, he’s not subvocalizing. ” I learned to read very early and was an extremely fast reader, finishing a typical Enid Blyton in an hour and a half flat with distractions and all, could understand “less easy”English like Shakespeare, attempt crosswords and remember pretty much anything I read or was told. The two things I was never able to do were reading aloud and understanding what I was reading at the same time and reading aloud to memorize. The vocalizing probably wrecked my natural learning tempo. This quote explains much!